Wii U owners will get a little taste of everything come November. There’s martial arts fisticuffs with Tekken Tag Tournament 2, classic platforming with New Super Mario Bros. U, gory 3D melee combat with Ninja Gaiden 3: Razor’s Edge and Darksiders 2. There are even some stealth options, albeit highly stylized stealth. You can go old school with Assassin’s Creed III or comic fantasy with Batman: Arkham City Armored Edition. For anyone hoping for some nice modern espionage, you’ll have to look elsewhere. 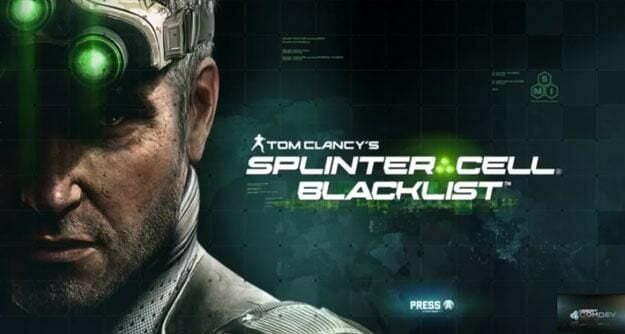 At least, that is, until next spring when Ubisoft releases a Wii U edition of Tom Clancy’s Splinter Cell: Blacklist. The French publisher hasn’t confirmed that Sam Fisher’s latest bloody adventure is in fact coming to Nintendo’s console, but advertisements for the game in an Irish GameStop (posted on NeoGAF) suggest strongly that the game is coming. It’s also a guarantee based on Ubisoft’s stance towards Nintendo’s system. The publisher is so far the Wii U’s most fervent third-party supporter, porting big franchises like Assassin’s Creed to the console in addition to developing originals like Rayman Legends and ZombiU. “Most of the industry is underestimating the breakthrough that the Wii U represents,” said Ubisoft VP of sales and marketing Tony Key on Tuesday. His company, however, isn’t. While other big fall releases like Far Cry 3 aren’t coming to Wii U, it only makes sense that Ubisoft will bring its 2013 Xbox 360/PlayStation 3 titles to the machine.